Legislative elections will be held in Russia on September 18, 2016. They have been moved forward from December 4th. In play are all 450 seats in the State Duma which is the lower house of the Federal Assembly of Russia. In contrast, the next presidential election will be held in 2018. 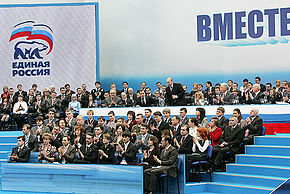 United Russia has been the ruling party since the 2011 election cycle. At that time they were able to capture 49.32% of the vote, which gave them 238 seats or 53% of the seats in the State Duma. The problem with elections in the era of President Vladimir Putin is that his government will alter voting results, to provide the needed edge to his power base which is United Russia. In the 2011 parliamentary elections for the Duma, the majority voted against United Russia. Officials of the government then manipulated the totals, to give the winning push once again to the aforementioned. 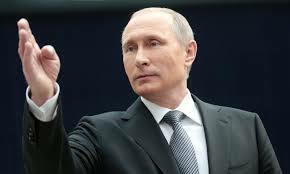 Vladimir Putin has either been President or Prime Minster of Russia since the year 2000. He is therefore both the second and fourth President of the country. During this time he has consolidated his power base to the point that he is almost unbeatable, in the increasingly authoritarian style of government in Russia. 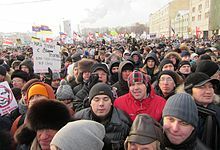 There were massive protest in major cities throughout Russia, once it became clear that fraud had been used to obtain the desired electoral result. In Moscow alone, over 100,000 people took to the streets chanting that they would like Russia to be without Vladimir Putin at the helm. This was the one time that it looked like Putin a former member of the KGB, had pushed too hard to achieve the chosen election results. The government had learned an important lesson. When you are going to corrupt the democratic system, you must first neutralize the opposition. The ruling party has even come up with a new slogan, that translates roughly as it is vital to choose correctly. The acronym VVP one can easily understand as representing the correct choice that would be Vladimir Vladimirovich Putin. The party is not actually using President Putin’s image in the election campaign. Such a step might well damage the present popularity of Putin. As the government apparatus steps up the effort to weaken and discredit the opposition, party officials have decided a direct link to Putin might do real political harm to the president. Prime Minister Dmitry Medvedev will represent the face of the party in the upcoming election. He has been in office since 2012, after he succeeded Putin in the position. Opponents of the present regime, have been repeatedly attacked in the state media. Any non-government entities that do not support United Russia and Putin have been identified, harassed and often forced to close. Most ominously election monitoring groups, have all been declared to be foreign agents and systematically shut down. What little remains of the independent media have been intimidated to either remain silent or suffer the possible negative consequences. Anti-government activists from the last election cycle in 2011 and 2012, have been either jailed on dubious charges or sent into exile abroad. Vigilantes in support of the government have increased their attacks on critics of the regime. Occasionally some of the most vocal opponents of the regime have met untimely deaths. Boris Nemtsov for example, was a well recognized and widely respected liberal throughout Russia. It is no mere accident that he would be summarily murdered. Democracy is in retreat everywhere in this new Russia. Last year the Russian legislature even passed a law that allows the police to open fire on unruly crowds. Of course it is up to the authorities, to determine when to use deadly force in the effort to suppress opposition. The government has also taken steps to permit the actual elections to look somewhat legitimate. There are too many risks associated with outright fraud. Vladimir Churov the former head of the election commission known locally as the magician, had become too controversial. He has been replaced by President Putin with the more respected Ella Pamfilova, who has been associated with her support of human rights. However, Pamfilova will preside over an election that has a predetermined result. This time around there is no real need for ballot stuffing, missing votes, and altered totals. The only real opposition would come from the Progress Party. It has already been banned from registering to participate in the election. Furthermore their leader Navalny was even beaten up by a number of goons, who attempted to hide their identities by dressing up like traditional Cossacks. With new rules in place governing the freedom of assembly, it is unlikely that there will large crowds of protest. Although most Russians are disgusted with the state of the economy, they seem resigned to the fact that Putin and United Russia are now entrenched. Many have become apathetic to the electoral process knowing that the present power structure is immovable for now. Putin seems to be taking no chances. In April of this year, he announced the creation of a new National Guard that will merge riot control units and place them under the control of his former bodyguard. Mr. Putin has replaced economic growth state of the economy with a more activist foreign policy as a way to mollify voters. The 2014 annexation of Crimea remains popular, across a broad swath of the electorate. The intervention in eastern Ukraine and even Syria remain relatively popular, in that the military has taken great pains to maintain lower casualty rates. The government prefers to arm allies and let them do the heavy fighting, in advancing Russian interests. 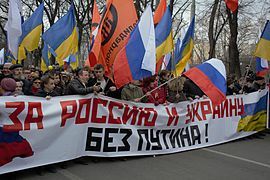 Although elections have become almost meaningless in the increasingly autocratic Russia that they remain, is an indication that President Putin and his government remain ultimately answerable to the people. He will not be able to forever ignore, the dismal state of the Russian economy. Economic reforms will become necessary if Putin will want to hold onto power beyond 2018. There is already a movement for a reduction in bureaucracy and greater efforts at deregulation. However, to bring foreign investors back, there will need to be a complete reform in property rights. Investment overall declined -2.6% in 2014 and a whopping -7.6% in 2015. At present, the government exercises the prerogative to confiscate assets of individuals and corporations almost at will. This makes owners of larger business concerns far more cooperative towards regime apparatchiks. Inflation in Russia is still relatively high at 7.3%, down from 9.8% at the beginning of the year. This is nearly half the rate from last year, when prices increases were exceeding 15% on average. Official unemployment has remained between 5% and 6% in 2016. The decline in the Russian Gross Domestic Product (GDP) is finally slowing. The contraction in the first business quarter was reported to be only 1.2%, after a drop of -3.7% for all of 2015. The ongoing recession is expected to continue with still low international oil prices, weak private consumption and the present government policy of fiscal consolidation. The public debt to GDP ratio hit 13.6% last year. International reserves are still dropping. In 2012, they stood at $538 billion USD (United States Dollar). The amount dipped to $510 billion USD, the following year. In 2014, the total plunged to just $385 billion USD and last year edged even lower to $368 billion USD. External debt as a percentage of GDP went from 27.1% in 2014 to 43.9% last year. Most damaging to the long term popularity of President Putin and his government is the dramatic drop in GDP per capita. It plunged from $15,390 USD in 2014 to $8,181 USD last year. This equates to an almost 50% reduction in the standard of living for the average Russian citizen. Russia is still adjusting to the shock of lower commodity prices which the country has been traditionally very dependent on, as a way to generate income for the government through exports. About 50% of public revenues still originate from energy. The global financial instability is still permeating through the Russian economy. International sanctions as a result of foreign adventurism, has also taken a toll. There have been some reforms to stem the economic malaise, beginning with a free floating exchange rate, an injection of liquidity into the banking sector and a limited fiscal stimulus. These have been quite effective in helping the Russian economy, that practically collapsed last year. President Putin is in a dilemma internationally. If he accommodates Western demands for a more restrictive foreign policy, sanctions will most likely be lifted. Of course, it is this policy of imperialism that has allowed him to remain quite popular, despite a depressing list of economic indicators. Putin may be tempted to gamble another foreign adventure around the time of the election to give his party an extra boost. The question is where? A move against the Baltic republics of Estonia, Latvia and Lithuania runs the risk of a wider war, as these nations are members of NATO (North Atlantic Treaty Organization). The Russian economy cannot sustain a long term military engagement with the Western alliance, despite the perceived weakness of an American response. Another undertaking in the Caucasus region is more likely. The war with the country of Georgia in 2008 and the military occupation of the two breakaway Georgian territories of Abkhazia and South Ossetia, is still not fully resolved. Georgia like Ukraine, remain outside the NATO security guarantee. 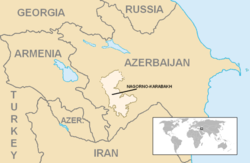 There is also an opportunity in the ongoing dispute between Armenia and Azerbaijan over the issue of the enclave of Nagorno-Karabakh region. The territory is surrounded by Azerbaijan, but is mostly inhabited by Armenians. Today it is mostly self-governing, refusing to recognize the central government authority of Azerbaijan. It is clear regardless of the legislative electoral results, that nothing much will change in Russia. The other parties in contention including the Communists, A Just Russia, and the LDPR are too ideologically divided and weak to form a coalition to challenge United Russia. If the political alliance between Dmitry Medvedev and Putin holds, there is virtually no opposition to the power now in the hands of the president.